In recent years we’ve seen the beauty industry successfully navigate the eCommerce gauntlet of technological innovations, social media updates, digital marketing trends and changes in consumer behaviour. In a mobile-first era with evolving demographics and the increased use of social media, we’ve witnessed the birth of the ‘well-informed consumer’. Customers are now more likely to carefully read ingredients or notice if there is an excessive use of packaging and are happy to take to social media to air out their frustrations. There’s also been a shift not only in the way beauty products are perceived but in the relationship between the consumer and beauty products themselves. But with a personal product that’s steeped in the sensory realms of touch and smell, how has the beauty industry finally managed to gain consumer trust to persuade customers to buy online? As mobile devices drive the majority of global internet traffic, social media platforms are now conversational hubs where product information and experiences are shared between consumers. In particular for the beauty industry, social media platforms are key to engaging customers with brand content to increase sales. According to a report by Facebook IQ, 44% of US beauty shoppers said that friends, co-workers, family and acquaintances on social media are a source of influence for cosmetic or skincare purchases. Along with targeted social ads, marketers now communicate their core values, develop their ‘social tone-of-voice’ and engage with customers using stories that connect with followers on a personal level to instil confidence and provide product knowledge. Brands such as L’Oréal, Sephora, Lancôme and Maybelline regularly post tips on how to use their products with multiple images or videos, launch mini-campaigns, incorporate editorial content and publish exclusive ‘social media only’ competitions to stimulate engagement and increase their user base. But digital-savvy consumers – especially younger millennials – have grown up consuming digital media and are used to being sold to. Beauty brands have learned to turn the old-school approach of social media marketing on its head to be more relatable to their followers. A great example of this is the classic flat lay image where the beauty product is a minor detail in a larger lifestyle image. These images generally receive better engagement rates – especially on Instagram and Pinterest – and complement standard product or marketing images that are usually posted on social media platforms. In China, online retailers Tmall, JD.com and Yihaodian are the leading outlets for online beauty purchases and ‘hyper-social’ Chinese consumers rely heavily on reviews on social media platforms before purchasing. They’re also prone to paying more attention to the content in reviews – as well as celebrity endorsements – rather than star ratings on reviews. Chinese consumers are also confident mobile shoppers and frequently purchase beauty products on social platforms like WeChat and Weibo. Winning the social media game with the best reviews for a native or international beauty brand is vital for success in the Chinese market. Beauty brands also use their posts to drive conversations about their products and services and continually stay part of the conversion to become the authority of their products and their brand. For example, when a follower commented on a Facebook post by L’Oréal about animal testing, the French beauty brand quickly responded stating it had not tested on animals since 1989 and directed the follower to a press release on their website with further details. Responding to a positive experience or answering a customer’s product query with a redirect to the product page, are just a few examples of how beauty brands have been able to naturally engage with their followers. In addition, turning a customer complaint on social media into a positive experience by continuing the conversation by email or phone – with a dedicated customer care representative – has become common practice. Taking these conversations away from social media platforms allow beauty brands to increase customer loyalty and keep large volumes of publicly visible negative comments at bay. Social media influencers and micro-influencers are now the key to customer purchase decisions for beauty products online and are notably popular with mobile-first millennials. YouTube is an incubator of beauty experts and these influencers are considerably more relatable to their audience than brands who use well-known celebrities – some influencers are even considered experts within their field. Mainly consisting of makeup tutorials and product reviews, these beauty influencers are usually not tied to specific brand endorsements – if so, it’s clearly stated – and review multiple products from different brands in their content. Viewers are able to see the product being used on a real person which is, of course, the most important aspect of these influencer videos. Not to mention the fact there is now an abundance of choice with content featuring a wide range of products including makeup, skincare and haircare. Popular vloggers such as Fleur DeForce and the Chapman sisters (Pixiwoo) both produce high-quality detailed makeup tutorials, product reviews and have subscribers in the millions making it a perfect opportunity for beauty brands to nurture third-party partnerships. L’Oréal has partnered with 8 UK beauty YouTubers in its famed Beauty Squad, to provide content about makeup, hair, and skin-care. The company reported a direct sales uplift following this move and have accordingly shifted their budget from traditional media advertisements more towards social influencer campaigns. But research suggests that the power of influencers with millions of followers seems to be waning – engagement rates get significantly lower after a million followers. A mixture of social media bot followers and genuine followers seeing through disingenuous endorsements seem to be the main reasons for the lack of engagement. 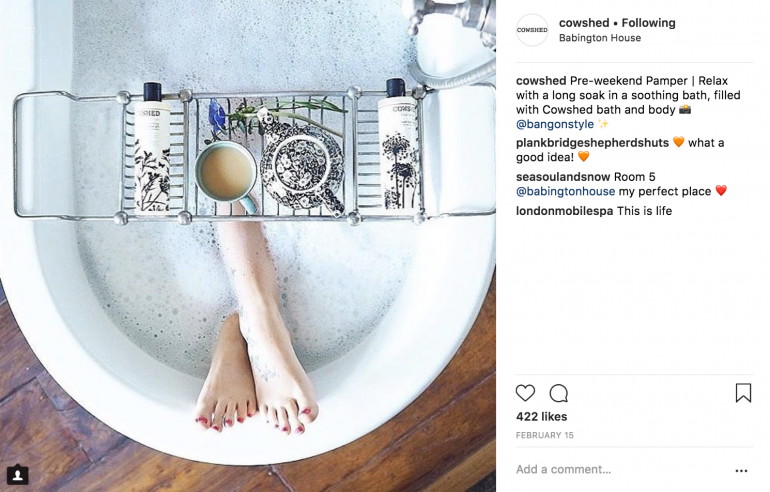 Realising this, beauty brands have taken a leap of faith and are either handing over the reins of content solely to the content creators (L’Oréal) or turning to micro-influencers who have considerably higher engagement rates but fewer followers. Instagram has grown quickly to be one of the most important platforms for influencer marketing, with 92% of marketers in a study by Linqia naming it as their top media of choice. Cosmetics retailer Anastasia Beverly Hills had an estimate of $340M sales in 2017 and this success is attributed to the company’s optimisation of social media strategy. It is the most powerful beauty brand on Instagram, according to Octoly, with 4,594 posts and 7.38M interactions with US Beauty influencers in March 2018. Micro-influencers have also been used to tackle the delicate issue of diversity and representation within beauty brand advertising. Maybelline launched its new 16-colour pallet Fit Me Foundation Collection which included 4 shades for darker skin tones in the US. Teaming up with micro-influencers such as Jackie Aina, Maybelline was able to diversify part of their marketing campaign and directly market to African-American customers in the US which makes the brand and its product more sellable to a wider audience. Jackie Aina also teamed up with Too Faced to expand their Born This Way foundation range to be more inclusive of deeper skin tones, following the influencer’s comments about how the range needed more options. Bringing Aina onto the team was a way to communicate to the public, especially Aina’s loyal audience, that the company was determined to improve. Overall the continued use of influencers and trust in content creators has helped to put a more personal and informal touch to how consumers and beauty brands interact. Putting a relatable human face behind a brand helps beauty companies build genuine relationships with their target audiences, which would be much more difficult to achieve with traditional marketing practices alone. Traditional brick-and-mortar beauty retailers have successfully adopted new technology to enhance the in-store experience and develop omnichannel marketing strategies to optimise their eCommerce platforms. 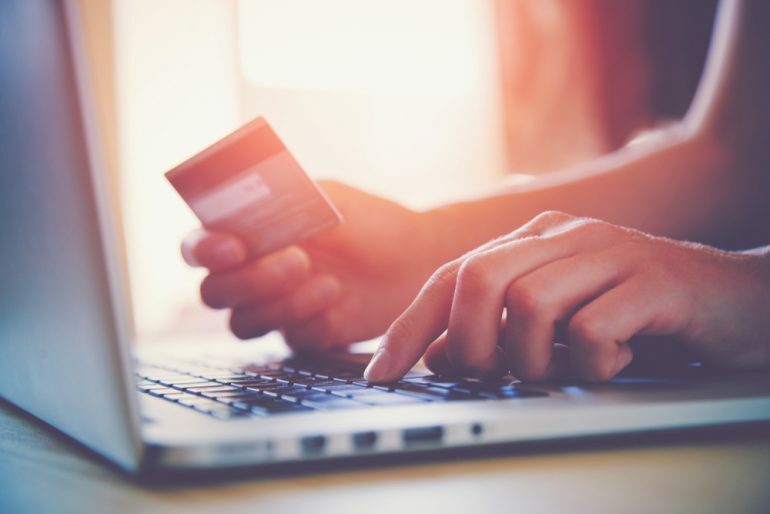 But the success of Black Friday, Cyber Monday and Singles Day, has undoubtedly led online marketplaces to thrive and these platforms have been able to continue to court their customers due to business models heavily focused on data and personalisation. Amazon is the number one online retailer in the US – with near $178B in 2017 net sales. Amazon’s success is attributed to its highly personalised website and product recommendations, marketing emails and of course, customer reviews. Alibaba’s Tmall.com allowed brands to set-up different product, image and promotion combinations for different demographics using tags within the Tmall platform ahead of the last years Single’s Day and is now dedicated to optimising the site to improve its personalisation strategies. Pureplay retailers are have not only been able to adopt the latest technology to disrupt the retail industry, they’ve also allowed retailers to easily market their products to consumers around the globe. Western brands have also latched onto the growth opportunity in China. Sales of Estée Lauder and Clinique on Tmall more than doubled in 2016 from the previous year and L’Oréal reported that eCommerce sales made up 8.8% of all revenues in the first quarter of 2017. We also can’t forget the online craze for the beauty subscription box which led to brands such as FeelUnique and Ipsy creating their own eCommerce platforms. Data also plays a key role for these sites as they’re able to utilise existing customer preferences – through subscription box history – along with previous purchase history, ultimately providing a more personalised customer experience. Ipsy reached 2.5M subscribers in 2017 and continues to be a major player in subscription boxes, despite a recent dip in popularity. Cofounder Michelle Phan understood the power of the influencer community and nurtured relationships with content creators to promote the products, offering influencers studio spaces and tax advice. Long-standing luxury beauty brands have been prompted to keep up with their younger online counterparts to optimise their digital marketing strategies, including data-driven personalisation and competitive delivery and returns options. This has ultimately benefited both the customer and the online beauty market as a whole. Micro-influencer marketing and social media are continuing to drive brand marketing into 2017 for the beauty industry. With both Sephora and L’Oréal producing multiple beauty apps with a focus on social commerce, it will be interesting to see how these developments will affect the relationship between customers and beauty brands in the future.